There has been much controversy in recent months over the pension deficit in the UK. The black hole facing pension schemes of the FTSE 350, the 350 largest public companies in the UK, is now equal to the total size of the South African economy. A huge number of people are now facing shortfalls in their company pensions and, as a result, will struggle through retirement. Much of the chaos caused by the pension's crisis has been as a result of the mis-selling of stakeholder pension schemes. The detail is complex but, as a result of the extended public debate on the issue, it is hopeful that the same mistakes will not happen again. 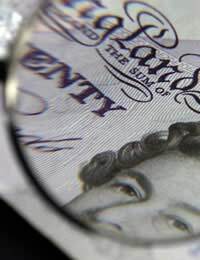 As a result, those who are just starting a pension are in a good position with regard to the information available to them.In its June 2010 Budget, the government confirmed that it would re-establish the link between the state pension and earnings. This will mean a sharp increase in pension payments, which will in turn be financed by a gradual raising of the retirement age. Regardless of this new legislation, public confidence in the pension system has been knocked, and many people are choosing private schemes, rather than company employer-endorsed packages, to finance their future. Before doing this, however, it is a good idea to get an estimate of how large your state pension will be. To find this out, you can apply for a Pensions Forecast from the government. This forecast will tell you how much you have already earned towards your state pension, how large your pension will be if you continue to contribute at your current rate, and what steps you could take to improve your pension. The Forecast will also tell you how much you have contributed to your SERPS scheme, if you have one. This is the earnings-related part of your pension which may have been contracted out by your employer. If you decide that you would like to start a private pension scheme in addition to your state pension entitlement, it is wise to start as early as possible. Many individual saver schemes allow you to put away as little as £25 per week, so they are a viable option for a large number of people. There are, however, other options for those who wish to ensure they can finance their retirement. Pension schemes are only one solution; you may consider alternatives such as national savings. Bonds are a particularly good option for those who are not necessarily interested in accruing large amounts of interest, and would prefer the peace of mind of a virtually risk-free investment. A bond is basically a loan which you issue to the government. You are paid a small amount of interest on the loan, but you are also paid a bonus at the point of maturity. Bonds can be issued for varying lengths of time and, as such, can offer an attractive alternative (or complement) to a traditional pension scheme. Above all, however, you should remember that the earlier you begin saving, and the more you put away, the larger your income will be in retirement. @meashamfox - you shouldn't be taxed. If your redundancy is tax free and you are earning under £5K for the year via your pension and you don't have any other income, then you are under the personal allowance for the year. That's how I see it, I don't know if anyone else has more advice?